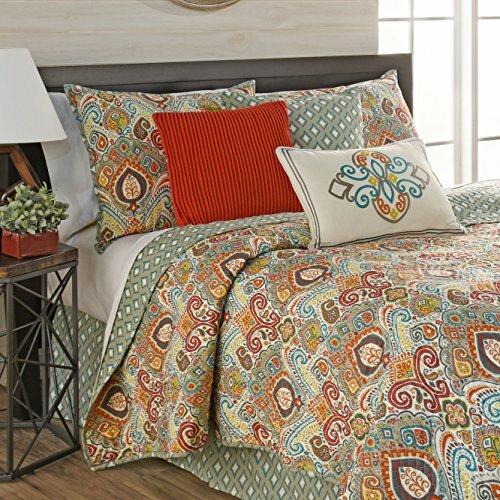 Size:Twin Bring a touch of charm and style to your bedroom with the Waverly Boho passage reversible quilt collection. 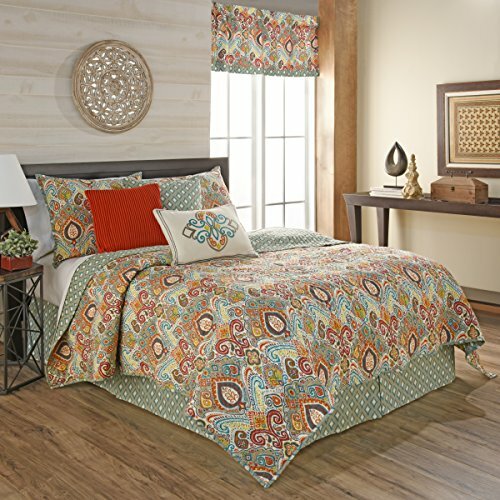 This statement collection features an allover damask print in rich jewel tone colors. 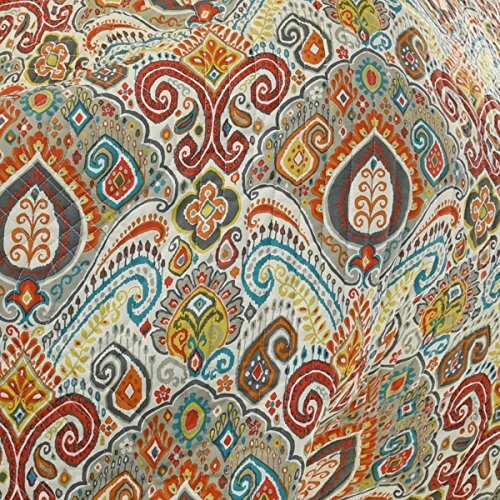 Reverse features coordinating diamond Ikat print. Shams are fully reversible with hidden zipper closure. 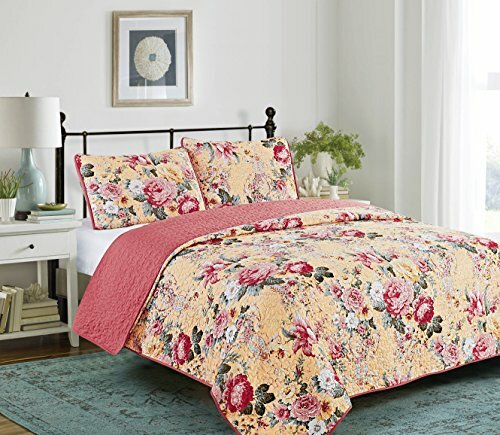 Quilt set includes one reversible quilt, one coordinating bed skirt, and two coordinating pillow shams. 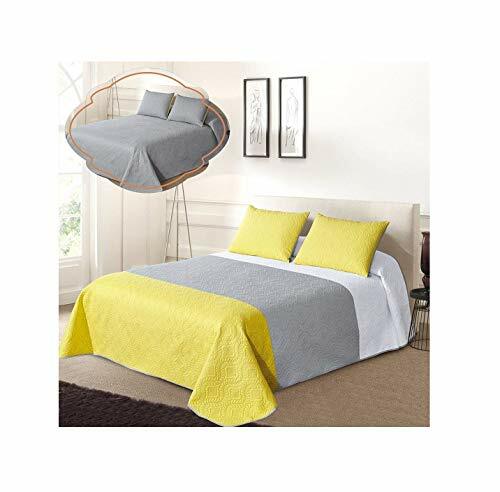 Twin quilt set measures 68x86 with one 21x26 pillow sham and a 39x75 bed skirt with a 15 inch drop. 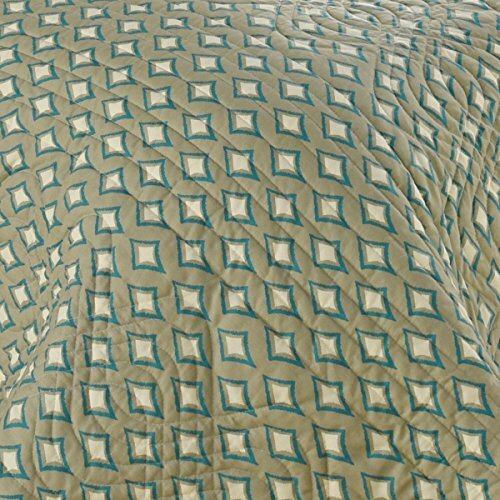 Queen set measures 88x90 with two 21x26 pillow shams and a 60x80 bed skirt with a 15 inch drop. 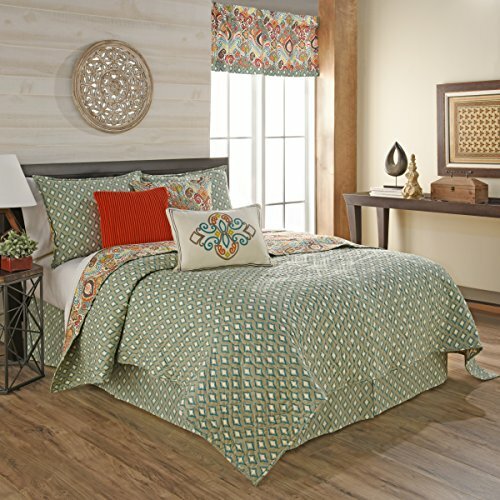 King set measures 104x90 with two 21x36 pillow shams and a 78x80 bed skirt with a 15 inch drop. Quilt, shams, and bed skirt are machine washable. 100Percent cotton. Complete your look by layering on coordinating Boho passage accent pillows and luxurious, lined window treatments, all sold separately.